Last week I went to Maine on a much needed vacation with my brother. 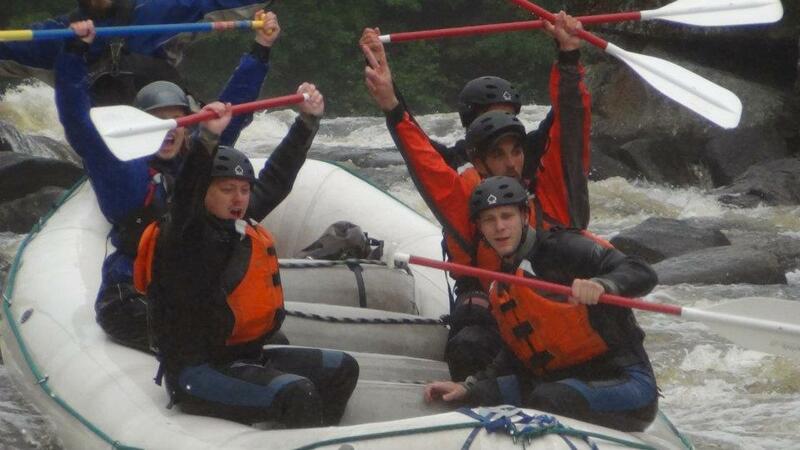 We went white water rafting and climbed Mt. Katahdin. We were supposed to skydive, but the weather just wouldn't cooperate. This is us surfing. Basically it is sitting at the bottom of some falls and trying not to drown. Yes, we are still on the boat! 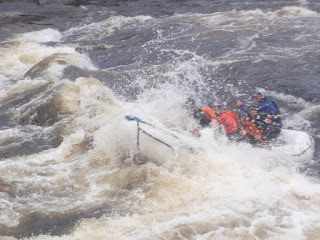 not whitewater rafting, it is roaring brook a bit above normal levels. We did make it to the top and it only took about 5 hrs of an 11hr day on the trail. My Brother looking over the ledge at the top. Would have been really scary if it was clear. The summit was cloudy so no real view from there, but the top of the saddle trail offered a majestic view. Landscape version. These get much bigger. As the brook was above level so a rock hop crossing became a take your shoes off and ford crossing. This felt great on our way down as the water was Ice Cold and refreshing on tired and sore feet. We had a pretty good trip. It rained on us about the whole time. We had fairly clear weather on the day of the hike, but it rained on us our last three miles. I don't know if it is apparent from the pics but it was raining on us during the rafting trip, hence wet suits in June. 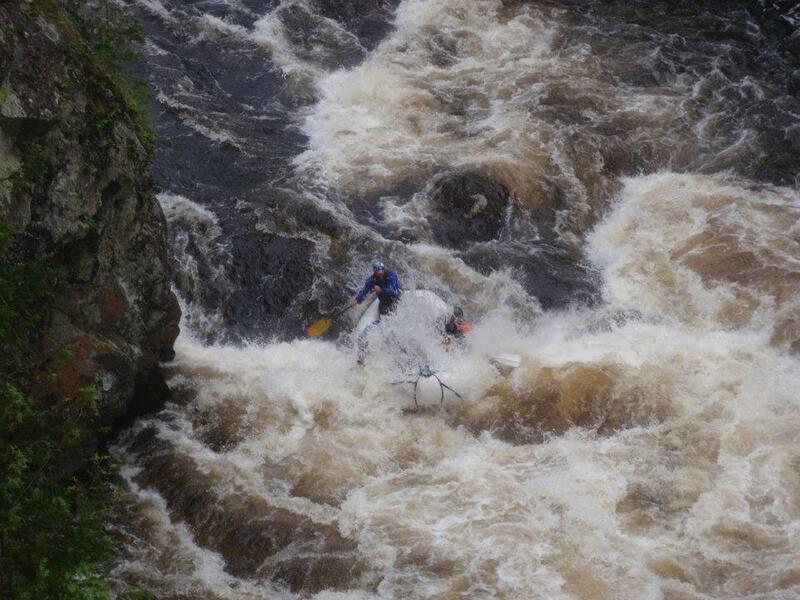 At one point it was raining so hard that I thought about jumping in the river to dry off. If you plan on hiking Katahdin, know that it is harder than you expect it to be. It was really challenging. Part of that might be that I am not in the best shape of my life. My brother is in way better shape and it was a little challenging for him as well. We went up and down the Saddle Trail from Chimney Pond. We had intended to do the Knife Edge but the Park Ranger had suggested a 1pm cutoff to start it. We got to the summit but it was already 1:15 and we needed a break and were pretty spent. 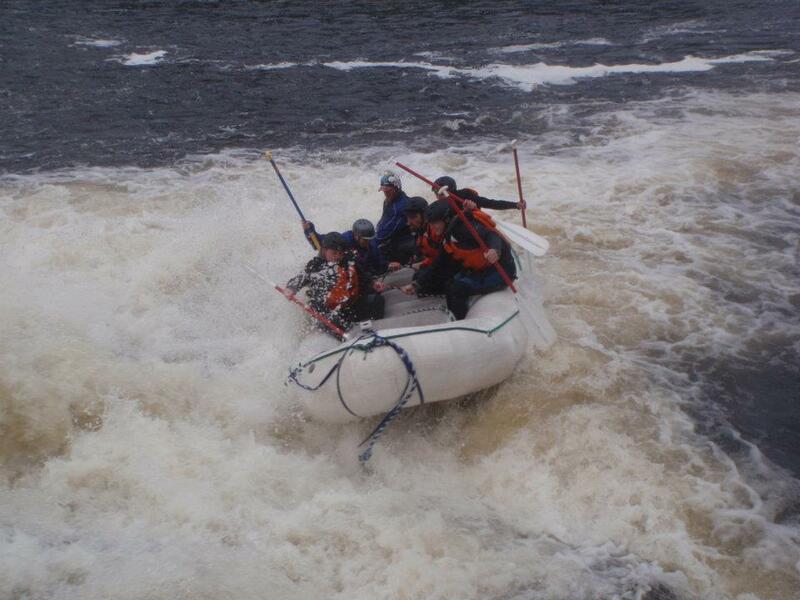 A group came off the Knife Edge after being on it for 3 hrs due to conditions and we just were not going to risk it. I came away from this trip with the knowledge that I need to be in way better shape. 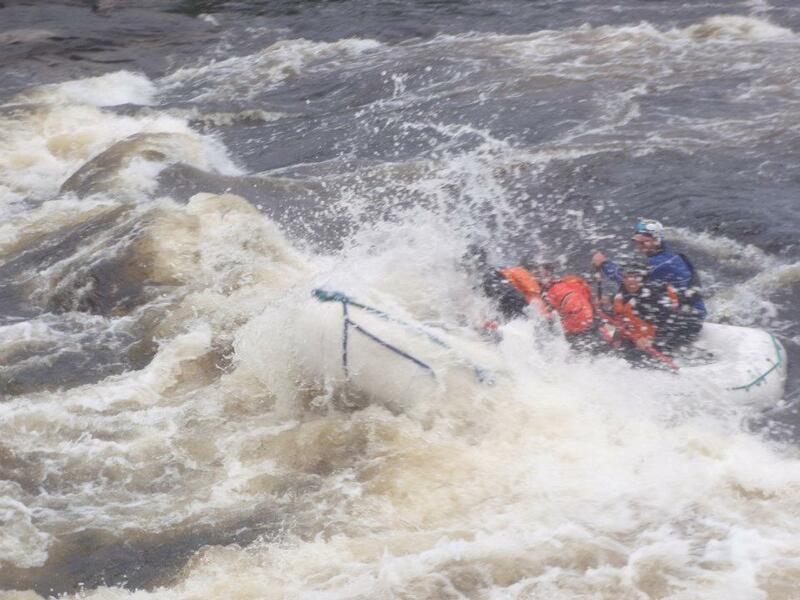 Don't know if I'd try the hiking (although the view was amazing) but I'd like to try white water rafting sometime. Glad you had a good vacation!